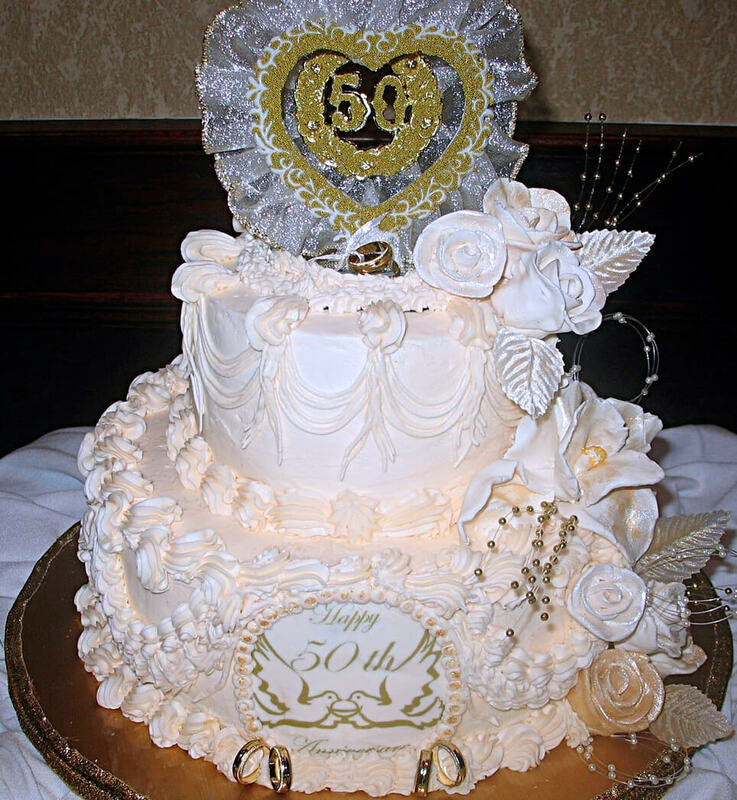 50th Wedding Anniversary Cake. 50 years with the same partner, of course you deserve a beautiful cake. Gold in honor of all those golden memories. Chocolate orchid and roses cascade the sides, edible image in the front and a customized top for the celebrating couple.